Some 40 German travel agents and tour operators were recently in Greece and for four days had the chance to experience the offerings of authentic Athens and the entire Attica region. Athens was the host destination for the “FVW workshop Athens-Attica 2019”, an annual event held in different destinations by FVW, Germany’s leading trade magazine for tourism and business travel. 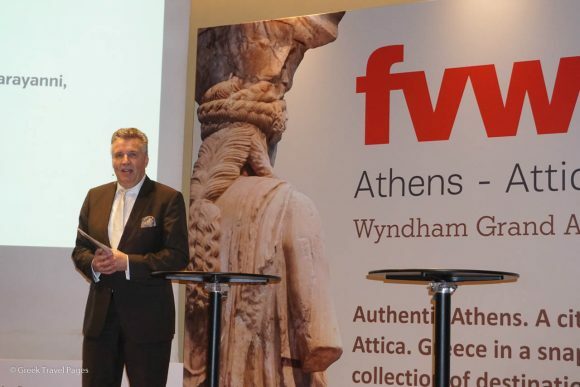 The workshop, which was coordinated by FVW’s editor-in-chief, Klaus Hildebrandt, took place in late March and was organized in cooperation with the Region of Attica and the Hellenic Chamber of Hotels. The Greek National Tourism Organization (GNTO) supported the workshop. 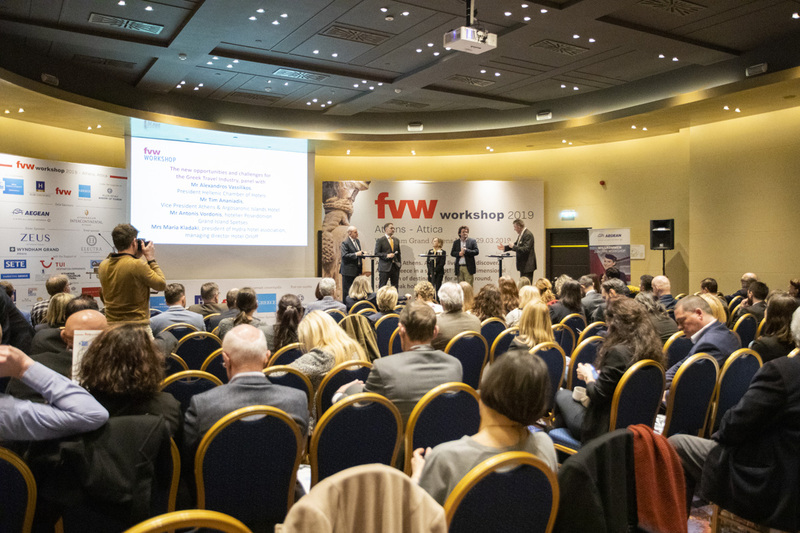 The FVW event included a conference, B2B meetings, a familiarization trip with tours to the city’s classic and modern sights and monuments, as well as a one-day cruise to the nearby islands. 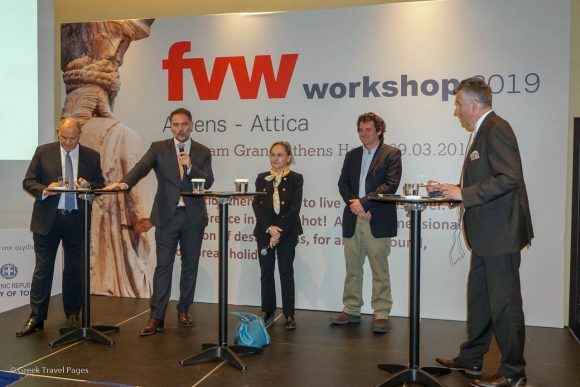 FVW’s annual workshop aimed to introduce Attica to the German tourism professionals in order to give them the “complete picture” of its many destinations and offerings, so they would then “spread the word” to their customers. 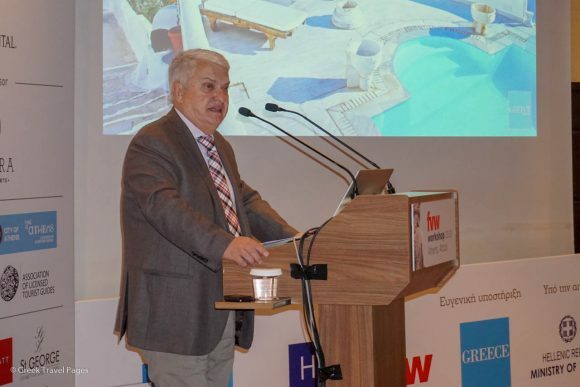 Hellenic Chamber of Hotels President Alexandros Vassilikos. GNTO Alternate Secretary General Giannis Goulios. 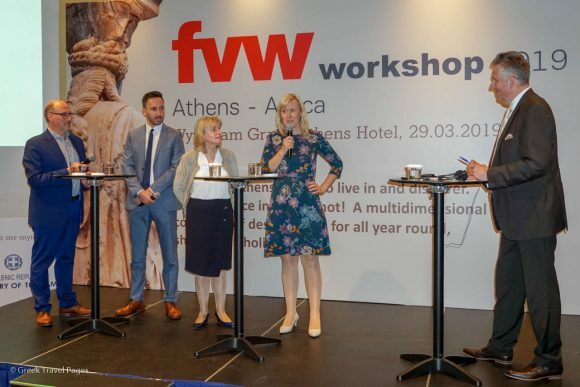 During the conference, held at the Wyndham Grand Athens hotel, the German tour operators and Greek professionals discussed and exchanged views on ways to further strengthen incoming tourism from Germany to Athens and Attica, as well as to set the foundation for future collaborations and agreements. Executive Regional Councilor for Tourism Promotion of Attica Eleni Dimopoulou. 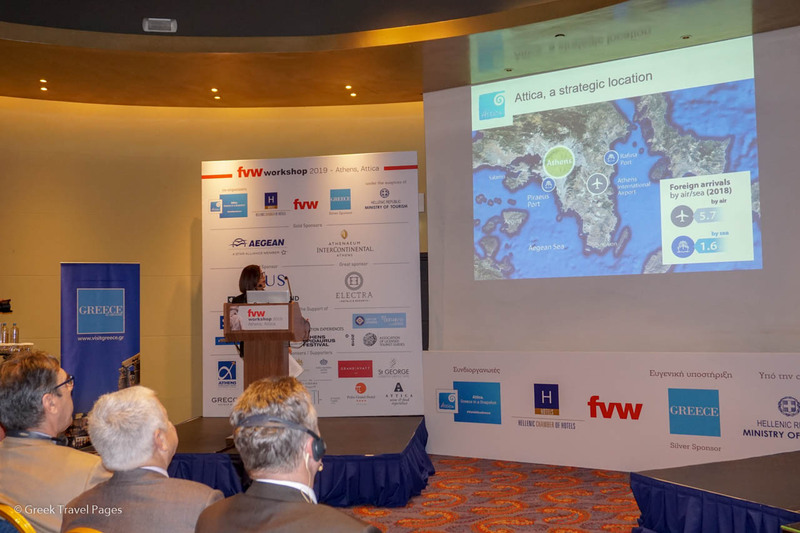 At the start of the conference, Eleni Dimopoulou, Attica’s Executive Regional Councilor for Tourism Promotion, presented in detail the unique opportunities offered by the region’s individual destinations, for short break holidays, throughout the year. “Our vision and 5-year plan is to make Attica known all over the world as a total group of destinations ideal for short breaks throughout the year,” Dimopoulou said, adding that Attica has all that it takes to be known as a significant “bleisure” (business and pleasure) destination. 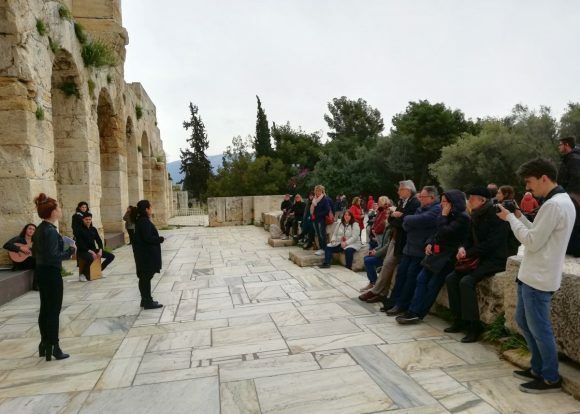 She focused on the distinctive characteristics of mature geographical and thematic tourism products that are dispersed throughout Attica, and the region’s competitive advantages for visitors. Dimopoulou also emphasized on the need for a more dynamic approach to the German market that will include additional tourism promotional actions, such as the organisation of more fam/press trips and roadshows. According to the Region, such efforts have already shown results and contributed to the dynamic development of tourism in Attica over the last 4,5 years. 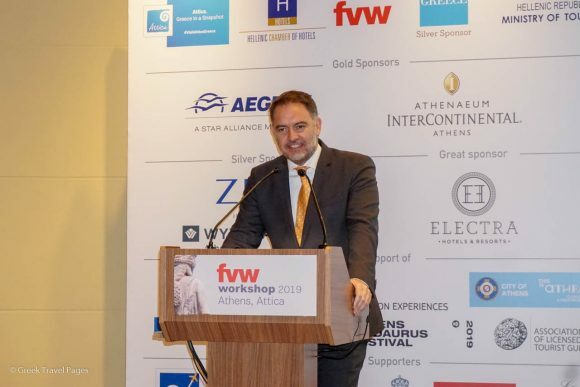 Figures presented during the conference revealed that over the last two years Attica has contributed over two billion euros to Greece’s revenues from tourism. Attica and Athens must be promoted in a more effective and targeted way to German travelers, according to tour operators. Athens – Attica & Argosaronic Hotel Association VP Tim Ananiadis, Hellenic Chamber of Hotels President Alexandros Vassilikos, Hydra Hotel Association President Maria Kladaki and Poseidonion Grand Hotels CEO Antonis Vordonis. Tour Operator Panel "2019 and beyond – the perspectives for Athens and Greece", with LMX Touristik Chief Commercial Officer Mario Krug, DER Touristik Central Europe Director Greece & Cyprus Orestis Raxenidis, Attika Reisen Head of Operations Christiane Pilz and TUI Destination Experiences Head of North & East Greece Barabara Kirchner. 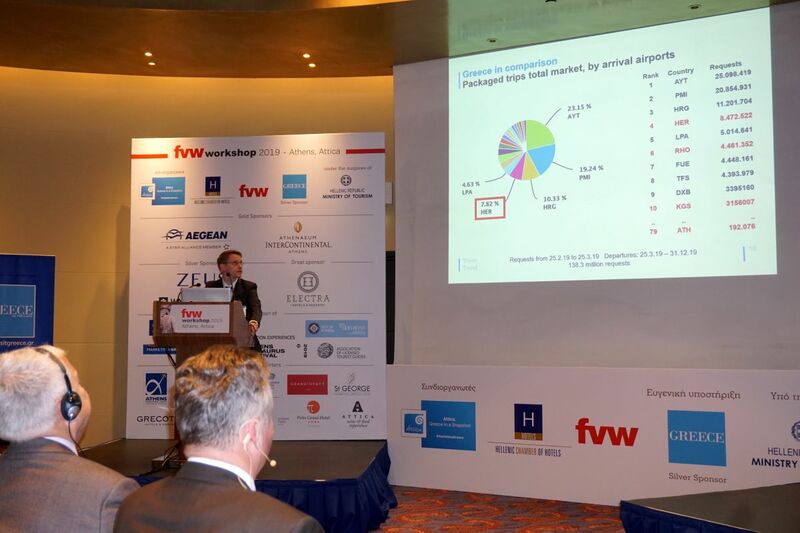 The conference included a session with a comparative analysis between Athens and other competitive destinations, the trends in the German business travel and MICE market, and suggestions of the guest tour operators for Athens and Attica. Travel agents also shared their ideas on how to further improve the promotion of Attica’s destinations to boost sales. Moreover, it was underlined that Attica and Athens must be promoted in a more effective and targeted way to German travelers, who are mainly interested in “sun and sea” tourism. TrevoTrend Market Researcher Dr Tobias Lang presenting a study on the German traveler demand trends for Athens and a comparison with other city destinations. Tour operators agreed that the fact that Athens and the destinations of Attica are in such close distance to the coastline and have easy access to nearby islands is a unique selling point (USP) and should be used by Greek tourism authorities and professionals. The events of FVW are widely recognized by the German tourism industry, and, according to professionals, greatly contribute to the promotion and establishment of the respective host city in the German travel market, creating an attractive image for the destination and searching for solutions that will boost sales. 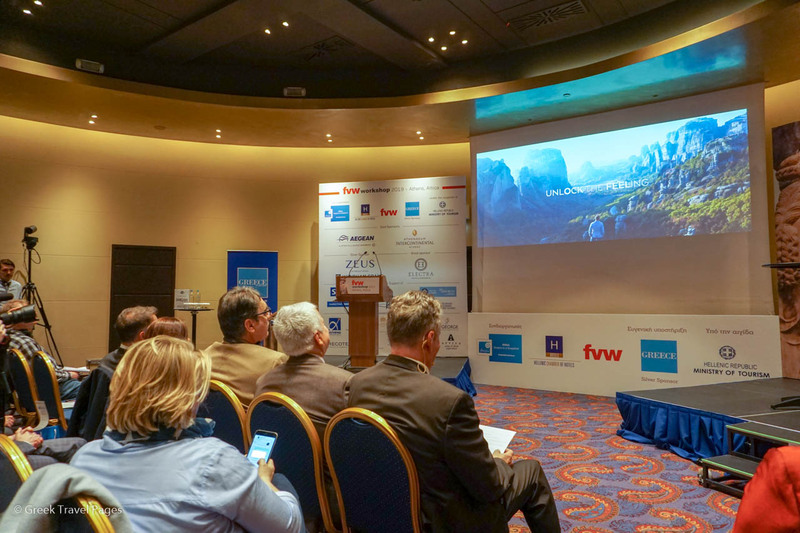 The audience of the “FVW workshop Athens-Attica 2019” watching a screening of Marketing Greece’s tourism video “Oh My Greece | Unlock the Feeling”. According to the Region of Attica, the event had high added value for the tourism promotion of the entire region, since it showcased in the best possible way the uniqueness of its individual destinations, from metropolitan Athens to the coastline and the nearby islands.